Hebe Carlton had no idea of her own charm until Major Alex Beresford arrived on Malta. Romance blossomed, but Alex was already betrothed. It appeared that Hebe must learn to do without love – until danger threw them together into a situation where Alex has to face a seemingly impossible conflict of honour. It was an ordinary day when Hebe Carlton first set eyes upon the handsomest man in Malta and took an instant dislike to him. Up until that Wednesday life had seemed to consist mainly of ordinary days: after it, looking back, she could recall few which were. Hebe’s reaction to the stranger was not, as she would have readily admitted, because she was impervious to good looks in a man, or to the appeal of a smart military uniform. Nor was she a young lady given to making instant judgements about people – experience had taught her that they were usually far more interesting than one thought at first sight. But there was something about this man that she could not quite pin down, yet which disturbed her, and she watched intently as he strolled towards their house on the shady side of the square in company with Commodore Sir Richard Latham. The Commodore, the intended of Hebe’s widowed step mama, was dropping in for luncheon as was his habit when he could escape from the demands of squadron headquarters down at the dockside, and he was already somewhat later in arriving than was usual. The two men were deep in conversation but paused before crossing the road which gave Hebe the opportunity for a more careful scrutiny of the stranger. She then decided that she liked him even less than at first sight, for an expression of severity and utter seriousness sat austerely on regular, tanned features. Hebe indulged the fantasy that he was one of the dispossessed Knights of St John, exiled from their island only a few years before by Napoleon, and still negotiating their return with the new English overlords. An interest in hell-fire, celibacy and the writings of the more rigorous early Church Fathers would suit him, she decided, curling up more snugly in her eyrie and enjoying her fantasy. The graceful whitewashed house with its green shutters and curving iron balconies possessed a number of deeply embrasured windows, each with its seat, and Hebe was often to be found curled up in one with a book, or watching with lively curiosity the passing scene below. 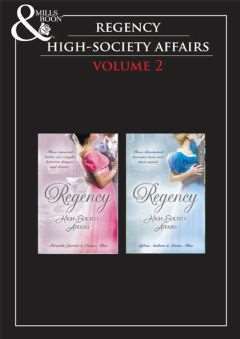 The upward glance was rapid but Hebe started back as though he had touched her. The impression that she was looking at a priest vanished entirely: this was a hunting bird, a hawk who knew he was being observed and was poised to strike whether the watcher was prey or enemy. She added the confused impression of piercing blue eyes and dark brows to her mental picture as she backed away from the glass. No wonder he had made her feel uneasy at first sight. Why, she felt like a sparrow who had just seen the falcon stoop to the kill! Hebe spent a moment calming her breathing, which was suddenly short, wondering at herself for such a reaction. He could not possibly have seen her, she reassured herself, hastily running a comb through her hair and twitching her hem straight. Mama would not be at all pleased if she came down to luncheon looking less than pin neat. Mrs Carlton had long since reconciled herself to the fact that her step daughter was not a beauty, nor even pretty. She was even resigned to the fact that Hebe stubbornly refused to compensate for this disaster by employing wiles to intrigue, or displays of domestic virtue to attract older men who might be looking for a conformable wife to make them comfortable. However, Mrs Carlton was still fighting the battle to make Hebe look and behave like a young lady at all times. Sometimes she succeeded, and just now Hebe felt not the slightest desire to appear in any way out of the ordinary and attract that hard stare. Hardly an unseemly show of enthusiasm, Hebe decided. Still, he was polite enough, if chilly. 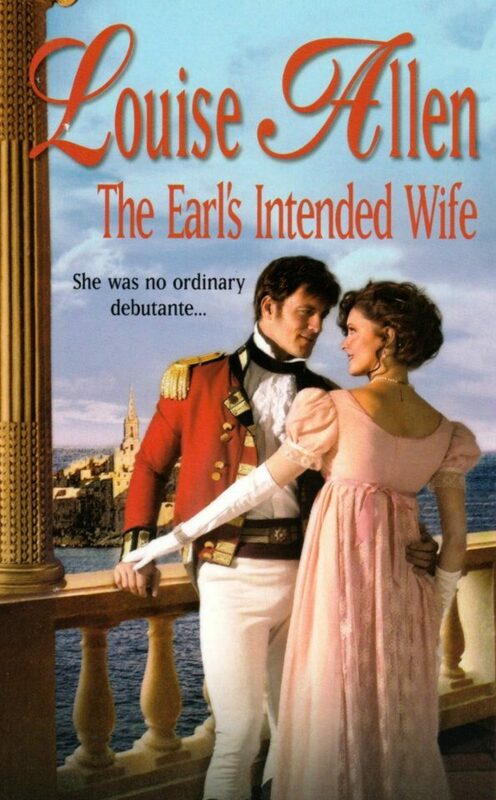 Doubtless the Commodore had already said something which alerted the other man to the fact that Mrs Carlton was his intended wife, so the monk was presumably feeling safe enough, even in the company of a voluptuous blonde who could well pass for the thirty three years she admitted to. Let us see what he makes of the plain single daughter, she thought with a wry twist of her lips. ‘There you are, Hebe dear,’ Mrs Carlton cried as she hesitated in the doorway. ‘My step-daughter Hebe, Major,’ she added. Just in case, Hebe thought resignedly, he thinks she is old enough to be my mother, or that she is responsible for such an ordinary looking girl. She was very fond of Sara Carlton, but sometimes she could…. Hebe dropped a neat little curtsey and observed the elegant bow she received in return. ‘Miss Carlton.’ Again that cool, deep voice and expressionless face, although now she was close to him she realised that his eyes were startlingly blue and that it was the hawk, not the monk, who was watching her through them. She was piqued both by his indifference and by her own sudden surge of curiosity about Major Beresford. Not, of course, that she was attracted to him, although the effect of his voice was to send a strange tingle down her spine. No, it was simply that the army officers of her acquaintance were generally a friendly, gregarious body of men. Occasionally one met a shy or awkward one, or a rake best avoided by a single girl, but on the whole they mingled cheerfully with the resident English community, pleased to be invited into private homes and ready to partake fully in local society. ‘Shall we go through to the dining room?’ Mrs Carlton asked, taking Sir Richard’s arm and making her way to the door, thus neatly leaving Major Beresford little option but to offer his arm to Hebe. ‘That will depend.’ She found herself watching those long fingers again as they curled around the bowl of his glass. They were drinking lemonade, cold from the pitcher’s long immersion in the fountain, and condensation beaded the outside of the goblet. His little finger ran up and down, leaving a track through the moisture, and Hebe watched as though mesmerised. ‘Upon what?’ she asked abruptly, pulling herself together. ‘Upon my orders,’ he responded frostily. ‘Ah. Well, of course I will ask no more, Major.’ Like all of the English community Hebe was well aware of the need for complete discretion about orders, for however careful the authorities were, there were bound to be French spies all over the island. That did, at least, provoke a reaction. She still kept her eyes locked with his and something stirred in the blue depths: anger, heat and, she saw with a sudden sense of shame at her own behaviour, exhaustion. Now she was looking at him properly she could see that the skin under his eyes was white under the tan and realised that his excessive coldness was simply a device to keep him on his feet and conscious, able to respond to this unwelcome luncheon party into which Sir Richard had pitchforked him. She glanced at his plate, feeling the moment when she broke away from his gaze as something almost physical. He had eaten hardly anything. As soon as they were outside the door Hebe freed his arm, casting him an anxious look. ‘I am sorry about that, but I think you ought to rest and the garden is the coolest place.’ She was steering him towards the open door at the end of the hall, towards the green arbour in the little courtyard and the soft sound of water trickling from the fountains. ‘Faint, yes I know, it was a fib, but I do not expect you want Sir Richard to know you are not feeling quite yourself,’ she replied briskly. A maid popped her head out of the door as they passed and Hebe added, ‘A pitcher of lemonade please, Maria, and two glasses.’ Major Beresford allowed himself to be directed through the door, stooping under a tangle of hanging climber and into the deep shade of a little paved area. A lion head fountain burbled gently against the wall, and two fringed white hammocks hung companionably side by side. The Major was obviously unused to taking order from debutantes, but the novelty appeared to be sufficient to secure at least compliance. He sat on the hammock, long legs over the side, and watched her with the beginnings of a genuine smile catching at the corners of his mouth. ‘I should imagine your mama will be out here any minute to see exactly what is going on!’ he retorted, making no effort to start unbuttoning the row of shining buttons. ‘Is that what we are doing?’ He started to open the jacket, his eyes on her face. She looked at him critically as he poured the lemonade and tossed back half the glass in one gulp. In the white shirt Alex Beresford looked far less like a bird of prey, and not at all like a monk. She studied the line of his throat as he swallowed, the width of his shoulders as he lay back against the pile of pillows and the length of his legs, elegant in tight overall trousers and black boots as he swung them up into the hammock. ‘Oh no,’ Hebe corrected. ‘A very ordinary one.’ But his eyes were closed, the sweep of dark lashes feathering the skin. Alex Beresford was asleep.